A communications systems training unit will be incorporated into the overall Pacific Desk training program. The intent of this section is to introduce communication options to the Pacific Desk participants and provide practical set-up and operations documentation. There are approximately 15 hours of facilitated prerequisites, to be completed prior to application for on-site training. Prerequisite material is available online or distributed on USB drives as a low-bandwidth option. Assessments and discussion forums are conducted online. To prepare for the four-week program in Honolulu, candidates must complete the following modules. This introductory study of tropical meteorology serves as the background to the in-person program, which will focus on data interpretation and forecasting techniques. The modules can be viewed online or offline. Quizzes following all modules must be passed before candidates are considered for the in-person Pacific Desk training program. Quizzes are only available online, and require free registration on COMET’s MetEd website. 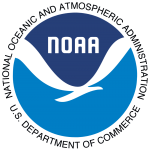 At registration, be sure to use NOAA.PacificDesk+COMET@gmail.com as the Supervisor/Instructor Email (also available at the “Your Account” link after registration) so that progress through the pre-requisite modules is recorded. Quizzes may be repeated until passing scores are earned. The four-week course in Hawaii is held at the NWS Honolulu Forecast Office on the University of Hawaii-Manoa campus (NWS Guam Forecast Office for Guam). Trainees come as a cohort of two to four persons (5 for Guam), ideally from one or two NMSes, and the practical instruction will take the characteristics and phenomena of their area of responsibility (AOR) into consideration. Instruction methods include interactive lectures, hands-on activities, frequent assessments and checks for understanding, participation in forecast office activities and external site visits.